Established in 1990, Woodcut Tools is a family owned manufacturer of innovative, high quality tools for wood turners based in Hawkes Bay, New Zealand. Attention to detail, hard work and an absolute commitment to quality are the hallmarks of our business. Our products are designed by turners for turners. Driven by tradition while pushing the boundaries with innovative products. Does what it says. Saves bowls, easy! Large or small, saves bowls and money. Coring a 12" by 4" bowl in less than 5 minutes. Two point support for reduced vibration and ease of use. Three high strength, cast, zinc coated blades with Stellite cutters, designed to hold an edge 2- 3 times longer than M2 HSS. User guide booklet supplied. Online support videos available on Woodcut Tools You Tube channel. Recommended minimum lathe power of 1.5kW (1hp) and swing from 16" to 25". Toolholder & Base slide boxed set with user guide and online video. Simply set the number to repeat your preferred bevel. Precise, easy sharpening every time. The Tru-Grind Sharpening System is the best sharpening system available today. It can sharpen a huge range of tools. Such as turning, carving, carpenters, lathe bits, drills and many other items. Fits most bench grinders and is the ideal sharpening system. Born out of the need to hold chuck mounted turned work for embellishing. Pro-Mount Bench Stand - For fitting and securing to any fixed surface, ie. workshop bench or wall. Table Clamp (used in conjunction with the Pro-Mount Bench Stand) - To temporarily attached your Pro-Mount to a table top. Chuck Spindle - A Chuck Spindle will give you the option to attach your project to your Pro-Mount whilst still in the chuck. Pro-Mount Carvers Plate - For directly attaching your carving project to. Additional plates - To accommodate multiple projects. The Woodcut Mill Drill has been designed by turners, for turners. Designed to make the production of pepper grinders that utilize the CrushGrind® type mechanism. 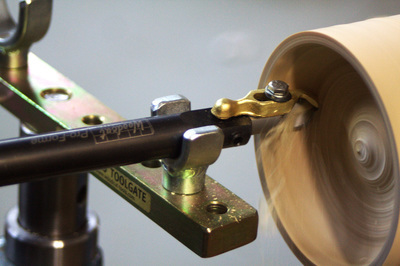 It features two adjustable cutters and has a #2 Morse Taper to fit in the tail stock of most lathes. A 1" hole is drilled in the pepper mill blank and then the Mill Drill is used to enlarge the hole and cut a step for the mechanism. It is a versatile tool and with some adjustment to the cutters it can be used to cut a wide range of hole sizes making it unnecessary to buy a number of drill bits. Your Mill Drill will arrive pre-sharpened ready for immediate use but will need to be sharpened again when the cutters become dull or blunt. The Woodcut Tru-Grind credit card diamond hone is recommended for regular touch-ups. 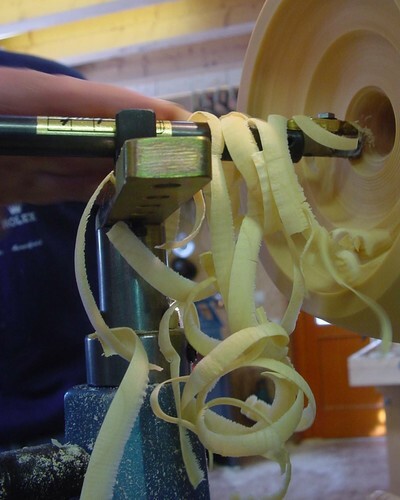 How regularly you sharpen the cutters will depend on the timber being used. EASY TO USE - Simple design to speed up your production of peppermills. Specifically designed for, but not limited to, using the CrushGrind® mechanism. ONLY TOOL NEEDED FOR DRILLING - A versatile tool which incorporates a No2 Morse Taper so it will fit into the tail stock of most lathes. With some adjustment to the cutters it can be used to cut a wide range of hole sizes making it unnecessary to buy a number of drill bits. Can be used to hold Forstner drill bits with a 0.39 inch shank. USER GUIDES & VIDEOS SUPPLIED - An extensive user guide booklet is included in the box with your Mill-Drill. User guide and demonstration videos available on You Tube. DESIGNED BY TURNERS, FOR TURNERS - Designed and made by wood turners, every detail is thought about from a woodworkers point of view, resulting in a very easy to use tool which gives the very best results every time. A deluxe 16 inch quick change handle with 2 collets for 9 - 10mm shafts 12 - 13mm shafts. The collet holds the tools securely without marring them. A twist of the collar loosens or tightens the tool. The spare collet is conveniently stored inside the back end of the handle with a magnet. The Twin Collet Handle features a comfortable rubber grip and measures 1-1/4" diameter by 17". The handle includes 3/8" and 1/2" Collets. 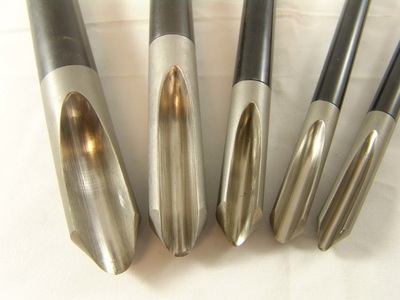 Widely recognised as the best hollowing tool available. The straight shaft is designed to produce the opening and remove the wood down the sides and across the bottom of the vessel.